The President of the European Union, Herman Van Rompuy, has warned that the eurozone will not survive if it does not overcome the current debt crisis. The president’s prediction comes on the back of the ongoing debate over Ireland and its economy. Concern has been mounting over Ireland’s finances since the country’s cost of borrowing soared last week. 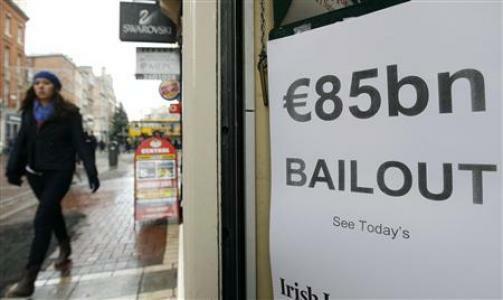 Several ministers from Eurozone countries have appealed to Ireland to accept a bailout from the European Financial Stability Fund (EFSF). As finance ministers from around Europe meet, Portuguese finance minister Fernanado Teixeira dos Santos urged his Irish counterpart Brian Lenihan to recognise that the problems in Ireland will affect the wider Eurozone as a whole. Ireland’s government remains resolute in retaining the country’s sovereignty and is said to now be seeking EU bailout assistance for the country’s banks only. This route to recovery would mean that Ireland’s government keeps control of its own finances without EU interference. 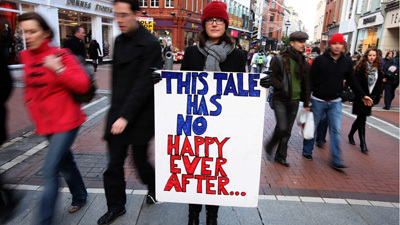 Many EU counterparts hope the bailout and subsequent European involvement in Ireland’s budgetary decisions would lead to the country increasing its famously low corporation tax. It was this low rate of tax for business which attracted international companies to open European offices in Ireland and contributed to the now defunct Celtic Tiger economy. Irish prime minister Brian Cowen and finance minister Brian Lenihan are due to announce their budget on December 7. Reports from Ireland, however, have claimed the budget – believed to include £3.4bn worth of cuts – could be brought forward. Hizballah last Thursday, Oct. 28, conducted a command exercise in all parts of Lebanon to test its armed militia’s readiness for what its leaders called “zero hour;” i.e. asserting its grip on Lebanon and “cornering” Prime Minister Saad Hariri. Debkafile’s military sources report the exercise took all day and led up to the sabre-rattling speech delivered by Hizballah leader Hassan Nasrallah that night, which was interpreted by all Lebanese factions interpreted as a declaration of war on their government and the prologue to heating up the border with Israel. 1. Hizballah found it necessary to answer the Israel Defense Forces’ recent “electronic exercise,” in keeping with a top-level Iranian-Syrian-Hizballah decision never to leave any American or Israel military step without response. 2. It was a practice for the military action planned for the hours leading up to the Special Lebanese Tribunal’s issuance of indictments against Hizballah leaders for complicity in the assassination of Lebanese ex-prime minister Rafiq Hariri five years ago. Our sources note that this is the first time Hizballah has leveled publicly about its plan for seizing control of Lebanon by force of arms – even without waiting for the STL indictments to be issued. The disclosure was made five days after the critical command exercise in order to establish a fact. It took advantage of a moment when its key opponents were otherwise engaged. President Barack Obama has his hands full with the Democrats’ sliding rating in polls ahead of the Nov. 2 midterm elections to Congress. Saudi King Abdullah had an eye on an ambitious initiative to convene a national conciliation conference of all Iraqi factions for breaking the long impasse over the formation of a new government in Baghdad. The Saudi king was seeking an al-Arab breakthrough that would push Iran off the board. And in Jerusalem, political circles in Jerusalem are full engaged in the trivia of domestic scandal, such as the illegal employment of a foreign worker at Defense Minster Ehud Barak’s home or endless bickering over the stipends for yeshiva students with families. Hizballah also feels it can safely send its gunmen out on the streets of Beirut and vent its ire on Israel without being jumped on by Western media because they are all totally absorbed in al Qaeda’s bomb package plot and its intercontinental ramifications.